I have been a destination wedding photographer for years. In fact, it's the first "type" of wedding that I specialized in shortly after becoming a wedding photographer. Despite being a city girl at heart, my entire being relaxes at the beach. There is something just so very magical about beach weddings!I started my career as a wedding photographer in Tallahassee, Florida. My first few years of weddings centered around Tallahassee itself, from Goodwood Plantation to Maclay Gardens and back again. I loved those sweet city weddings, the beautiful gardens, the charming venues and incredibly kind people that I worked with. From there, once I started sharing destination wedding images on my website and my blog, clients started calling from all over the globe. I've been everywhere from South American to Finland, France, and even Ireland to photograph incredible weddings with incredible people. I still on occasion fly back to Florida for events (I'll be there twice this winter! ), and am so fortunate to be commissioned for weddings all over the United States. If you're planning a destination wedding, I'd love to talk to you!! Do I need to hire a destination wedding photographer? 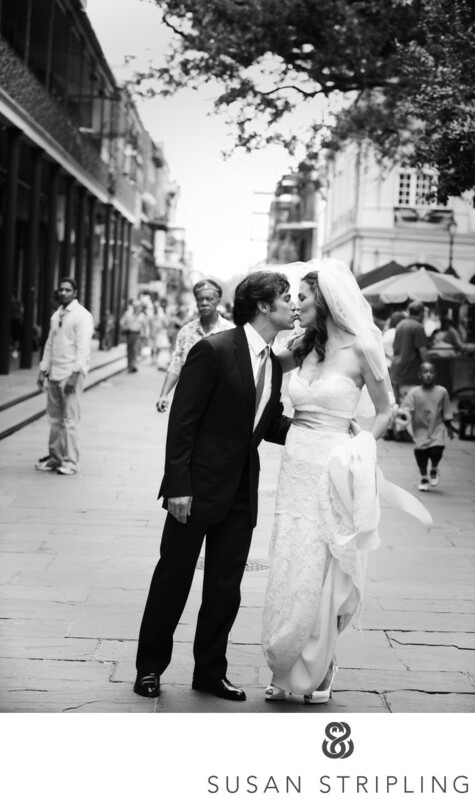 So you're planning your destination wedding, and now it's time to hire your photographer. How do you find one? He/she/they will know the area better than someone who has never photographed there before. They will know where to take you for portraits, where all the hidden gems of locations are, and the best places to be for all aspects of your day. He/she/they will be more likely to know your venue well, as well as your local vendors. He/she/they will be local. You won't have to worry about their travel to the event, whether or not their plane will land on time, or whether or not they have a proper work visa to work where you're getting married. While not local to New Orleans, I made myself very familiar with the areas around the wedding venue so that I could take advantage of all the beautiful spots for photography! If you've scored the local area and haven't found your dream photographer, it might be time to look beyond your wedding city or state. How do you do that? Step one is to ask around. Do you have any friends or family members that have gotten married in other states, cities, or countries who loved their wedding photographer, and their experience working with that photographer? What about people you know on Facebook? Has anyone posted beautiful wedding images that have blown you away? Talk to people you know, and begin your search with the personal referrals that come your way. Step two is to take to the internet. If you are going to fly in a photographer, the entire world of photography is now an option! Scour blogs that you love and see which photographers you are drawn to. Look through Instagram for the same thing : photographers whose work pulls you in time and time again. Hit the internet and do a Google search for things like "Best photographers in the world." See where that search leads you, and work on narrowing down a list. Step three is to contact photographers. However you've come to your list of top selections, start contacting those photographers on that list. Give them a call, drop them an email, and start sorting through their responses. Just like hiring a local photographer, set up a time to chat, Facetime, or Skype with your top choices. While you might not be able to meet them in person, a great Skype chat or Facetime talk can go a very long way towards helping you make your final decision! Just like there are great reasons to hire a local photographer, there are a lot of good reasons to bring in someone new for your wedding! A destination wedding photographer will be seeing your venue fresh, with new eyes, and will be able to offer a unique perspective that a local photographer might not have seen before. You will be able to bring in the photographer you truly love, not just be limited to the local area. 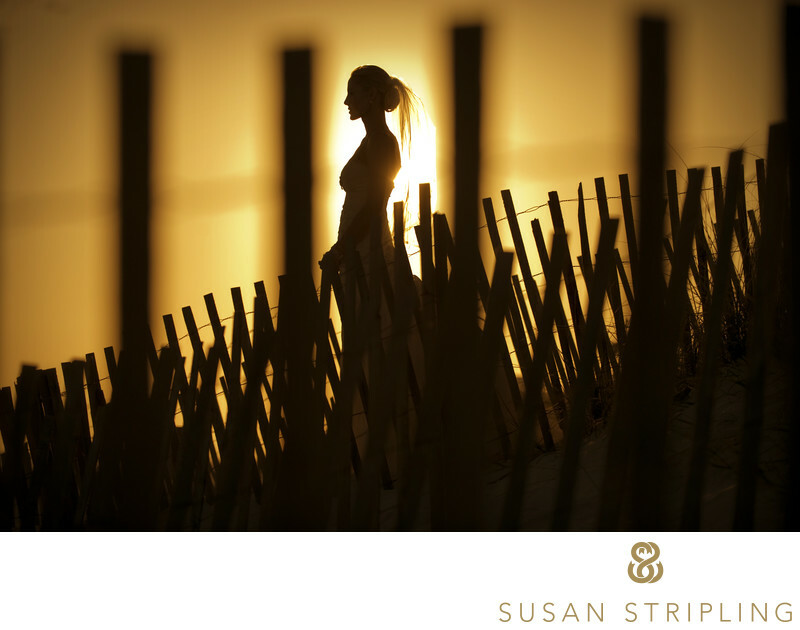 True destination wedding photographer thrive on the challenge of creating new images in new locations ever week, and can bring a wonderful energy to the coverage of your day. 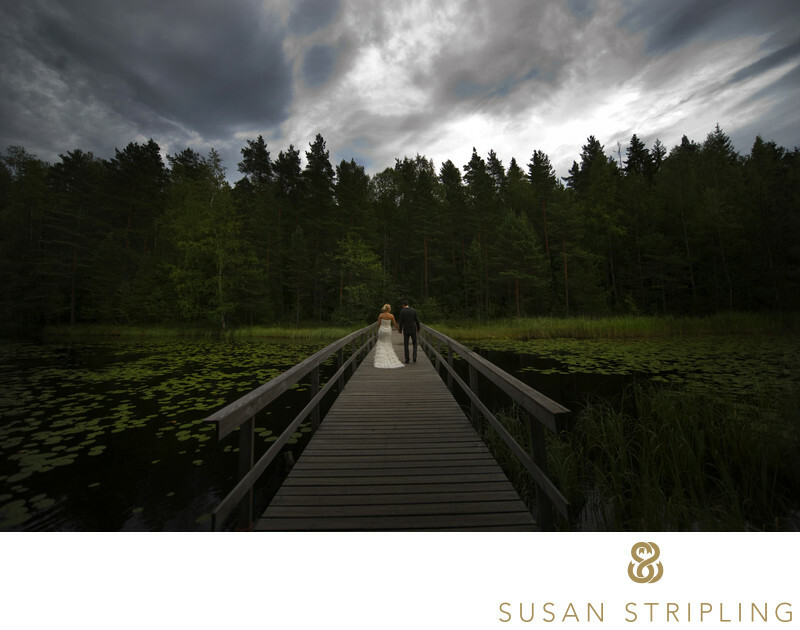 This destination wedding in Helsinki was one of my favorites. This couple is super dynamic and adventurous, and I still follow their travels (with their children now!) on Instagram! While pricing and packaging for a destination wedding photographer will probably look very similar to any local photographer you may inquire with, the travel fees will be something that you'll probably need to discuss with whomever you consider flying in for your wedding. Your collection or package is one price, which has travel already built in. Your collection or package is one price, and travel is billed on top of that. There is no right or wrong way to price travel, so don't be surprised if the photographers you inquire with don't all meet #1 or #2 above. 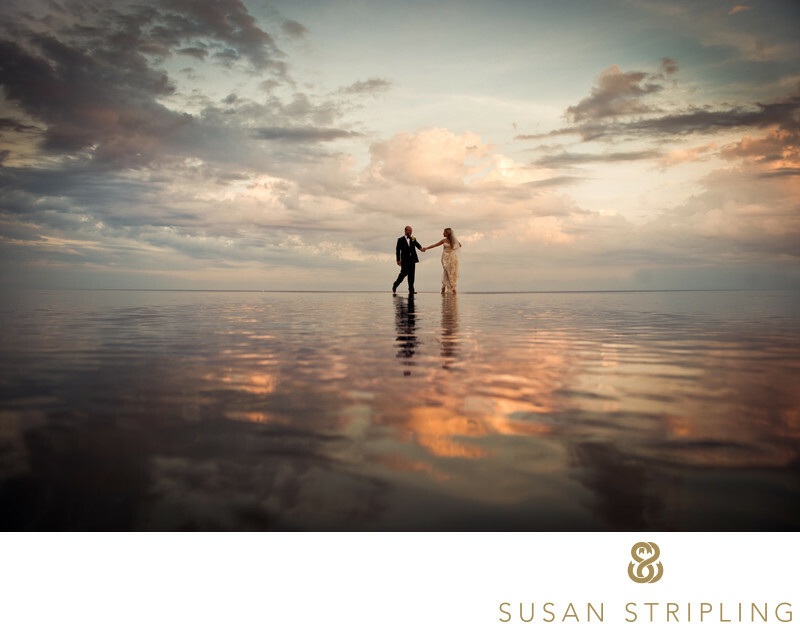 When I travel for weddings, I have my package rates and then require reimbursement for any travel fees on top of that. Travel fees include airfare for myself and any other staff members required (an assistant, a second photographer), our hotel stay for the time we're there, and any travel to/from the airport. I don't require clients to pay me for my meals, but some other photographers might - there really is no "standard" when it comes to billing for destination weddings. Just make sure that whatever travel fees your photographer charges are understood up front, so that there are no surprises after the fact! Florida, site of some of my favorite destination weddings everIf your photographer is flying in for your wedding, make sure that he/she/they are flying in with plenty of time to spare! If I'm traveling for a Saturday wedding, I always arrive on Thursday. You never know what will happen with flight delays and cancellations, especially during winter or during hurricane season (hi, Florida! ), so you want to make sure that your photographer has plenty of time to arrive with ease! Can your photographer work legally in your wedding location? Work visas and destination weddings is something that gets discussed often in photography groups on Facebook. "How can I work legally in this country?" From Canada to Mexico and all the way around the world, this is a discussion that has been ongoing as long as I have been photographing weddings. I will never work in a country that I cannot work in legally. I hear photographers all the time whisper to each other "Just say you're there for a vacation if customs or immigration ask why you're there. Pretend you're there for fun. 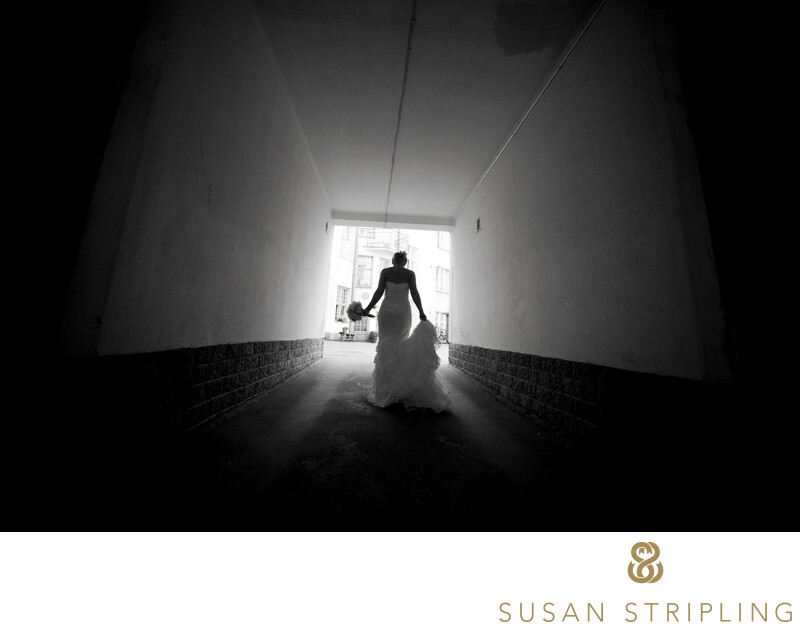 Don't say you're there to shoot a wedding and you won't need to bother with a work visa." This is something that I will never do. It's not legal. And it's not right. If I get an inquiry for a destination wedding, I'll first check with the embassy or consulate of the country I want to visit. I'll find out the requirements for a work visa, and if obtaining one is even a possibility. I have obtained work visas in many countries, but some will not allow US citizens to obtain visas for wedding photography : most notably, Canada. Canada will not require US citizens to work on Canadian soil, no matter where the money exchanges hands or where the clients actually live, which is why I do not take on Canadian weddings. Finland was beautifully welcoming, I highly recommend visiting there if you get the chance! Destination weddings are always a pleasure but the greatest honor a wedding photographer can have is photographing the wedding of a bride or groom's brother or sister. I had photographed this bride's brother's wedding several years before so it was a delight to work with this family again! The first time I photographed a wedding for these wonderful people we were in Florida on the beaches of the Gulf and this time we were in Santorini, Greece. 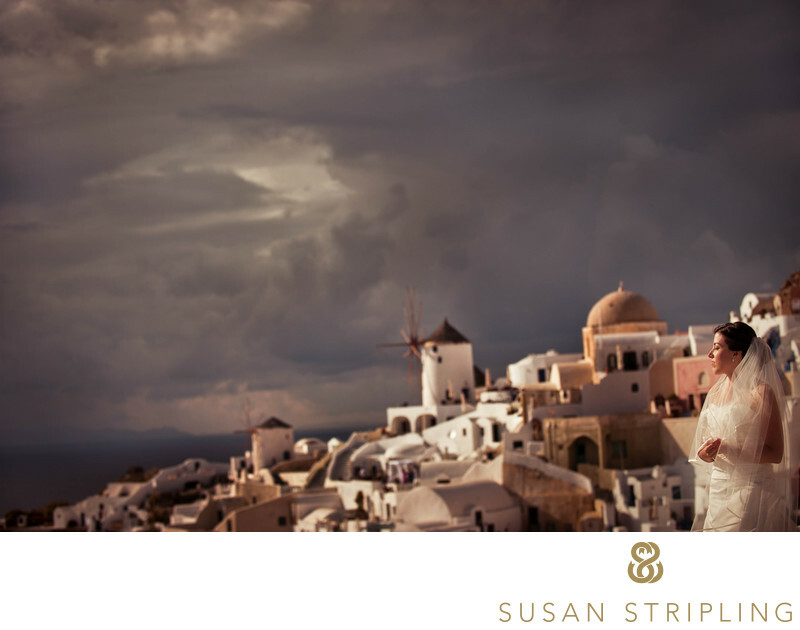 Despite the rain that threatened to put a damper on the ceremony the skies stayed beautiful and were a wonderfully dramatic backdrop for the portraits of the bride and groom around Santorini. 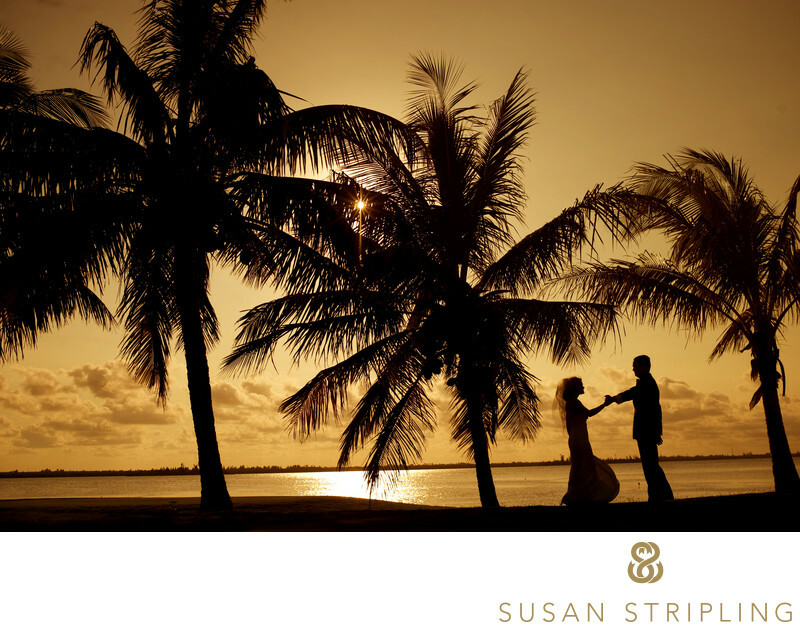 I love destination weddings, and have photographed them for over a decade. 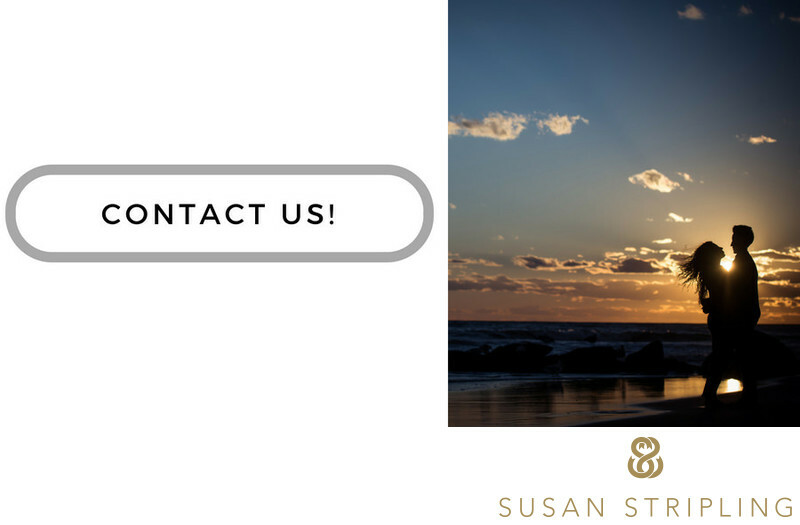 If you're planning a destination wedding, or even just considering one, I'd love to talk to you! I have so much experience photographing them, but also a lot of experience planning them as I often help my clients put together many aspects of their day. I'd love to chat! Keywords: santorini (3). 1/4000; f/4.0; ISO 200; 70.0 mm.